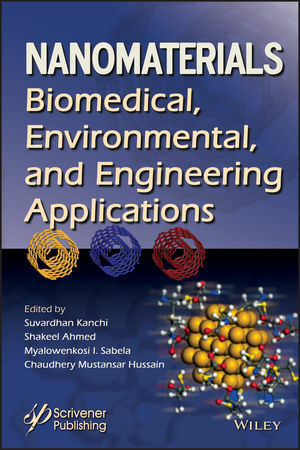 This timely volume on nanomaterials and their biomedical and environmental applications includes the fundamentals of nanoparticles, and state-of-the-art properties, characterization, and the synthesis methods as well as the applications. The main thrust of the book is to present review chapters that explore all these aspects of nanomaterials for scientists, engineers and students who are fairly new to the field and want to have a deeper understanding of all the recent R & D advances. The 12 chapters are written by subject matter experts and plot the influence of nanomaterials on the analytical systems (macro to micro & lab-on-a-chip) for biomedical and environmental applications. Suvardhan Kanchi is currently at the Department of Chemistry, Durban University of Technology, South Africa. He has co-authored about 35 research articles in international peer-reviewed journals as well as 11 book chapters. Shakeel Ahmed is an Assistant Professor at the Department of Chemistry, Government Degree College Mendhar, Jammu and Kashmir, India. He obtained his Ph.D. in the area of biopolymers and bionanocomposites and has published several research publications in the area of green nanomaterials and biopolymers for various applications including biomedical, packaging, sensors, and water treatment. Myalowenkosi Sabela is currently conducting doctoral research at Durban University of Technology. He is a recipient of the Erasmus Mundus-EUROSA fellowship 20142015. His research interest is in pharmacokinetic and enantioselective parameters of pharmaceutical compounds in the presence of biomacromolecules and nanoparticles for applications such as diagnostics and sensors.